The Credit Union Art Competition is back and this year’s theme is The Force of Nature. The theme has been designed in an effort to get participants ‘thinking green’ by depicting their visions of a clean pollution and litter-free environment while also imagining the different forces of nature within the world. As 2018 has been a year filled with snow, heatwaves, drought and floods, the world has been touched by the force of nature. The competition is open to all members, regardless of age. The competition requires entrants to draw or paint posters on the theme The Force of Nature using pencil, charcoal, pen or ink, felt-tip markers, crayon, pastel, water colours, gouache, acrylics, oils, poster colour or collage. The closing date for entry is October 12. All entries can be dropped to any of First Choice Credit Union’s branches in Achill, Balla, Ballyhaunis or Castlebar. Shane Melia, Marketing Officer at First Choice Credit Union stated: "We’re excited to see what this year brings, especially with such a great and topical theme. 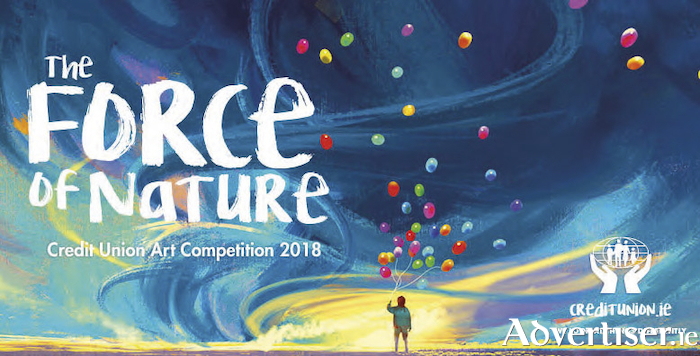 Entrants are encouraged to depict their interpretation of the force of nature, whether it be jungle fairies, blue tornados, heatwaves, snow storms or fire and ice, the force of nature offers a wide variety of choice to each artist. Melia continued: "We will be dropping entry forms around to schools within our common bond over the coming days. Furthermore, information and entry forms can also be found on our website www.firstchoicecreditunion.ie or picked up in any of our branches in Achill, Balla, Ballyhaunis or Castlebar." There are two categories – General and Special – with five age groups in each: seven years and under, eight to 10 years, 11-13 years, 14-17 years, 18 years and over (and a further group section in the special category ). The Special Category encourages participants with a physical or intellectual disability to submit entries in free expression without the restriction of the competition’s official theme if they so wish.